Real Madrid needed to beat Celta de Vigo and score at least 2 goals tonight, but didn't go beyond a 2-2 draw and are now out of the Copa del Rey. Cristiano Ronaldo and Lucas Vásquez scored the goals for the Merengues, both in the second half. And just like that, Real Madrid are out of the Copa del Rey and there's no more talk about winning the much-wanted triplete at the end of the season. The Merengues drew 2-2 with Celta de Vigo this Wednesday night and got eliminated from the Cup on a 4-3 aggregate result. The hosts scored the first thanks to another Danilo own goal just before the break, but Cristiano Ronaldo still sparked some hope when he scored the equaliser from a vintage free-kick. Celta got back to the driving seat in the 85th minute when Daniel Wass made it 2-1 for the hosts and all hope was lost. Lucas Vázquez would still draw things level at 2-2, but it wasn't enough for Madrid to get the result they needed and they failed to advance to the Copa del Rey semi-finals round. And with that Real Madrid are officially out of the Copa Del Rey. The fans hoped for a classic Madrid comeback, but truthfully, it was never on as Madrid's Copa challenge came crashing down at the hands of Celta Vigo, losing 4-3 on aggregate after a 2-2 draw at the Balaidos. The signs have been there ever since Madrid lost against Sevilla and despite their win on the weekend, the current state of affairs is a major cause for concern. But despite Zidane's odd formations the true issues likely lies in Madrid's fitness. With so many players injured, it's clear that the current squad is just not capable of performing at a high level. Carvajal's injury means Danilo has to be depended upon and it's unfortunate, but after more than a full year here in Madrid, it's clear he just may not be up to scratch (the Brazilian scored a comical and admittedly avoidable own goal today). But he wasn't the only culprit. Cristiano Ronaldo had a poor game as well, something that is becoming far too common for the current Ballon D'Or holder. Still, his second half free-kick elicited some hope. It was a fantastic strike from him, something we haven't seen for a while. But even that brief glimmer of hope would be short lived, as Daniel Wass scored at the other end when Madrid was throwing bodies forward hoping to grab a late goal. Lucas Vásquez did score incredibly late, but all Madrid's fate was set. Out of the Copa and dreams of the treble are now dashed. Outplayed over the two legs and with a lot of soul searching to do, Real Madrid are a shadow of the team we saw just a month ago. 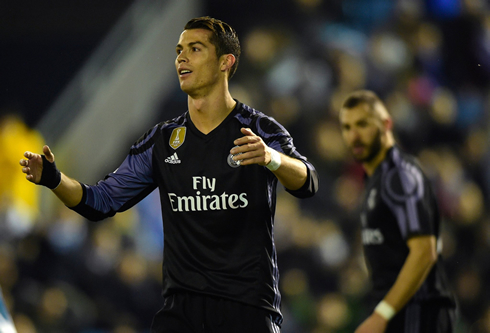 There is a fear that Real Madrid may have peaked early. We've seen this before in the 2014-2015 season... And with the injuries piling up, it's becoming an increasingly worrying situation for Madridistas across the world. 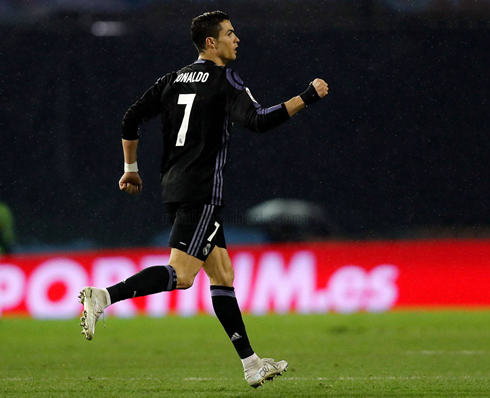 Cristiano Ronaldo next game is a Copa del Rey fixture, on January 29 of 2017 against Real Sociedad. You can watch Juventus live stream, Real Madrid vs Real Sociedad, Barcelona vs Real Sociedad, Hull City vs Manchester United, Derby County vs Leicester City, and Schalke 04 vs Eintracht Frankfurt, all matches provided from our football streaming game pages.